"If it’s a form player you want at a big price this week, how about Japan’s Masahiro Kawamura at 80/1? Last four starts? Runner-up Bridgestone Open; runner-up ABC Championship; MC Hong Kong Open; T5 Mauritius Open." Scott Vincent was tied fourth in last year's South African Open at Glendower so can be a force in a field like this and also took tied 13th on his last start in the country at March's Tshwane Open. The tournament moves to Randpark this time and the Zimbabwean made a decent fist of it (T30) when that same venue hosted last year's Joburg Open. Vincent has had three second places on the Asian/Korean Tours in his last 12 starts and two of those followed finishes of T60 and T56. That suggests he can suddenly click again after a somewhat modest T59 in the Dunlop Phoenix Tournament in Japan on his latest start. Following a highly promising rookie season in Europe, Erik Van Rooyen is well placed to land the biggest win of his career to date in his national Open. 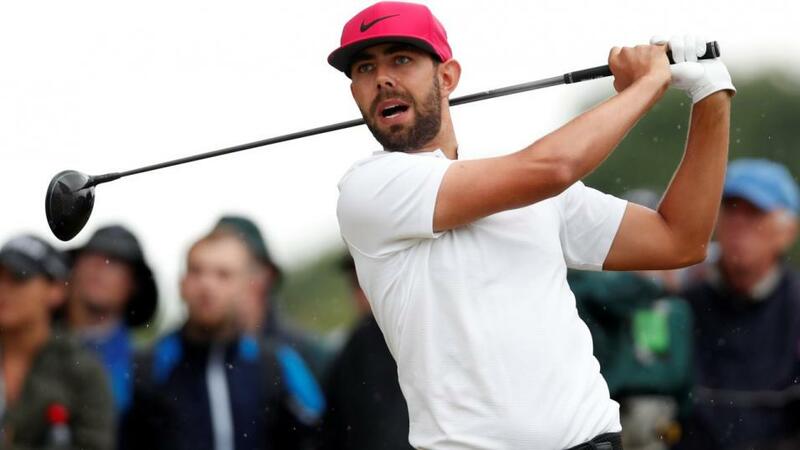 Van Rooyen's very best efforts came in the summer, when fourth in the Irish Open, fifth in Denmark and contending for a long way when 17th at the Open Championship. More recently 22nd at the HSBC Champions and 26th at the World Tour Championship read well enough in this considerably weaker company. Usually the few South Africans with international pedigree fare very well in these co-sanctioned events on home turf, such as the Joburg Open - most recently played at this course, with Van Rooyen finishing second. These early season events are a great opportunity for Challenge Tour graduates to get off to a solid start and the one I like this week is 25-year-old, Grant Forrest, who finished second on the Challenge Tour three times last season. The Scot finished seventh last week in Mauritius after a slow start (his fourth top-ten in six starts) and he came to my attention before the off there because of his solid Scrambling figures. As highlighted in the preview, that's a key stat this week given the first five home at this venue 12 months ago in the Joburg Open all ranked inside the top-six for Scrambling. Finland's Tapio Pulkkanen brings course form to the table this week as he finished third at the Joburg Open at Ranpark in the final edition of the Joburg Open this time last year. Pulkkanen's third round 73 derailed him after opening rounds of 65 and 64 had seen him lead at halfway but he's a much more experienced player now and he's recently finished fourth in the Alfred Dunhill Links Championship and 10th at the Turkish Airlines Open. That's a level of recent form that would see him go close here again, and maybe even two places better. If it's a form player you want at a big price this week, how about Japan's Masahiro Kawamura at 80/1? Last four starts? Runner-up Bridgestone Open; runner-up ABC Championship; MC Hong Kong Open; T5 Mauritius Open. Stats are a bit sparse but we did get the numbers in Mauritius last week and Kawamura was ranked sixth in Scrambling. That was the key stat at this venue, Randpark, when it staged last year's Joburg Open. True, Kawamura missed the cut here but rounds of 69-72 were hardly a disgrace, he's in far better form now and that previous look should help him this time.